I think I accidentally stumbled onto a clue as to the direction we’re headed in motion picture cameras. It comes, once again, from the digital still world. Full-frame, format-agnostic sensors. Comfortable with B4, Super16, Super35, Anamorphic, Full frame and many other lenses and aspect ratios. The first hint of this was Leica’s new M camera, with CMOS sensor, live view, and accessory EVF. Little was lost in translation here in Tokyo. At Sony Gallery in Ginza, I tested the new α7R and α7 full-frame mirror-less cameras. They were shown at PhotoPlus in New York a couple of weeks ago, but the implications didn’t hit me until I was handed a camera and WiFi tracker (lest I wander off too far) and encouraged to roam Sony’s demo area to take stills and video. Image quality was remarkable. The built-in OLED viewfinder is great. 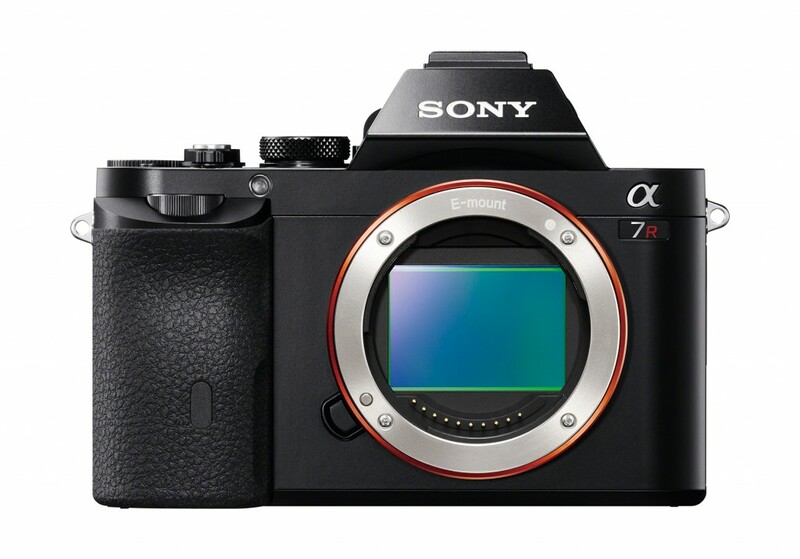 The α7R has a 36.4 megapixel CMOS sensor and no optical low pass filter. 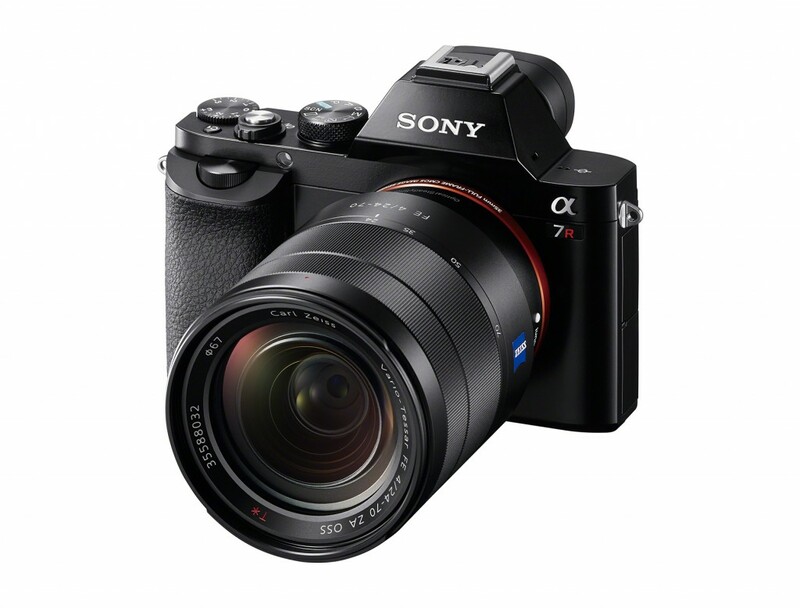 The α7 has a 24.3 megapixel CMOS sensor with a faster autofocus and an OLPF. Both cameras have a really sharp, bright 2.4 million pixel OLED electronic viewfinder. We’re getting close to the point where EVF is almost as good as optical mirror reflex viewing. The benefit of mirror-less electronic viewing is the chance for reduced flange focal depth. Without a mirror, you can position the rear element of the lens closer to the image plane. This means the lens can be lighter and smaller. Both cameras record impressive full HD AVCHD 1920 x 1080 60p video. There are 5 new full-frame E-mount lenses designed for the α7R and α7 cameras: mid-range zoom lenses from Sony and Carl Zeiss, Zeiss Sonnar T* primes and a G Lens zoom. More information at the Sony Store. Jon, That’s an amazing find and real clue to the future of motion picture cameras! Glad to have brought this camera to your attention! Mark–Let us know details of your tests. So far with limited time testing the alpha 7R camera I feel that it is not the camera for fast action –the alpha 7 (separate, sister model) might be that candidate. The alpha 7R is more like a studio camera. Processing ARW (RAW) files is akin to converting F55 footage. You should be methodical and then the results will really pay off with a gorgeous creamy look. I look forward to further testing with exteriors. Once the still side is tested then I will test motion. A feature not yet tested is 4K HDMI output (stills only). Sets the mind to thinking….